Today is the feast of the Apostle St Barnabas, who is venerated in Milan as the founder of the Church in that city, and its first bishop. 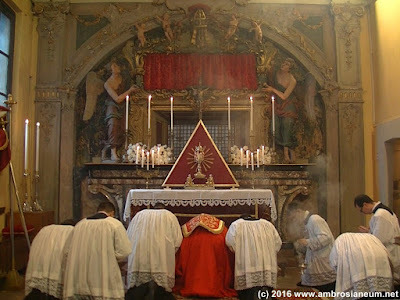 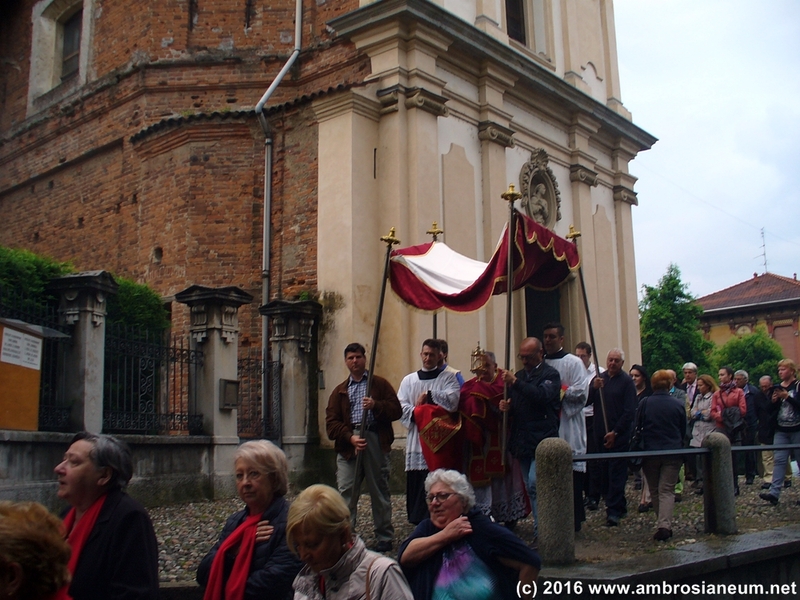 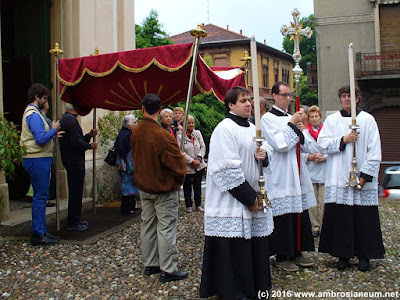 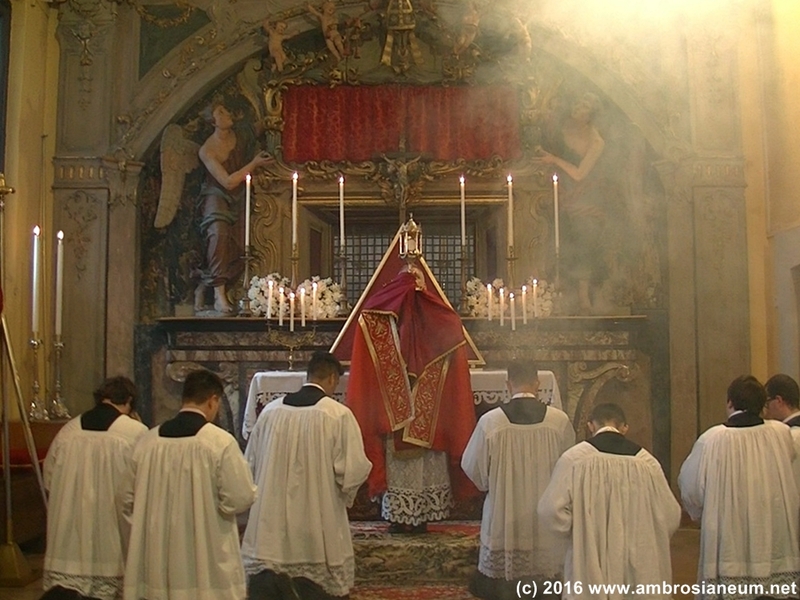 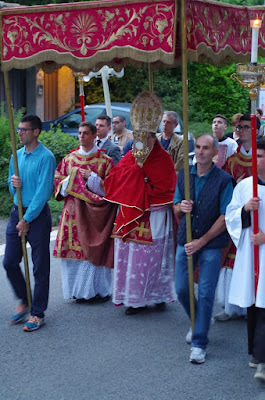 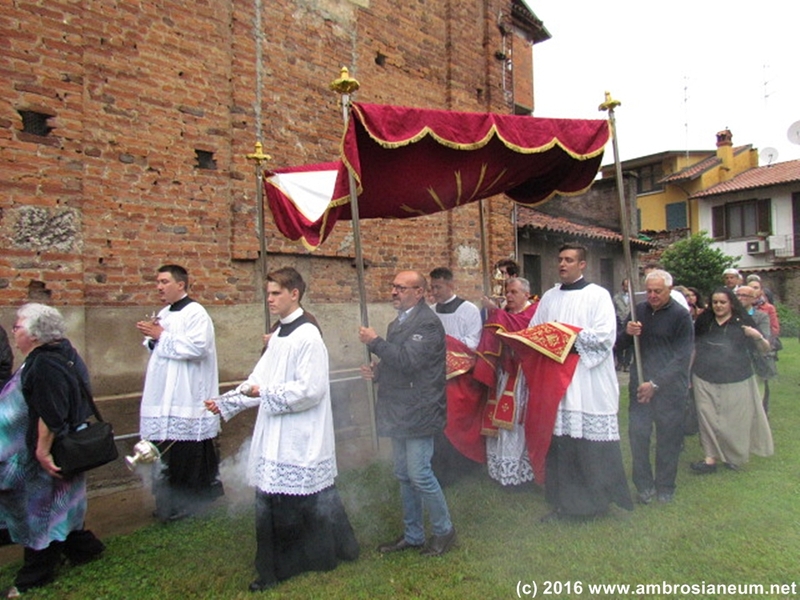 I decided to wait until today to post these three sets of photos of Corpus Christi celebrations in the Ambrosian Rite. 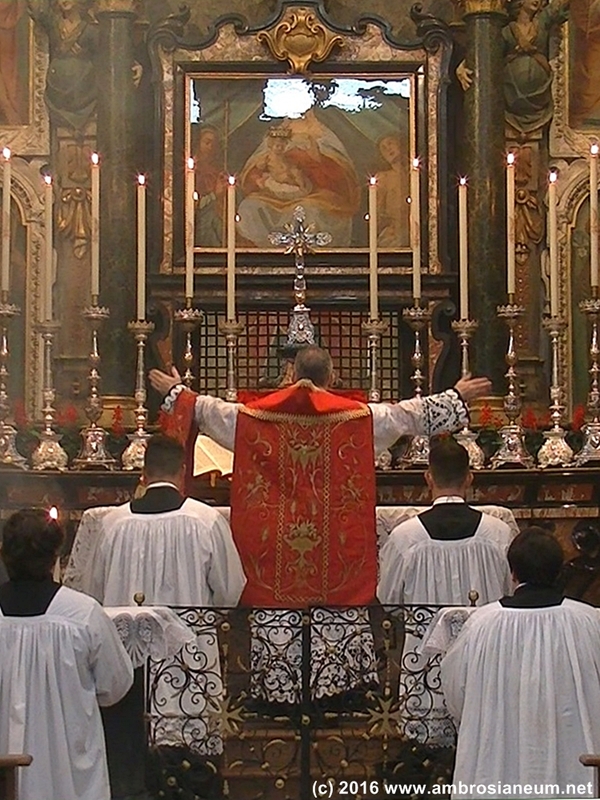 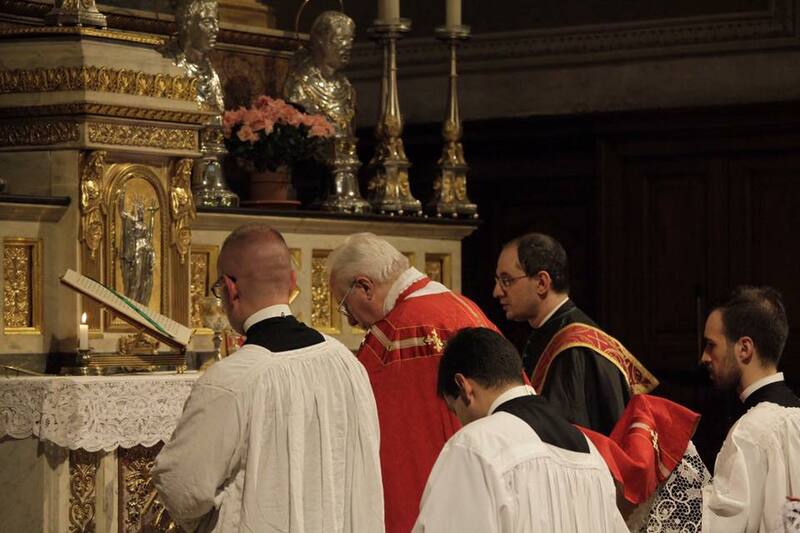 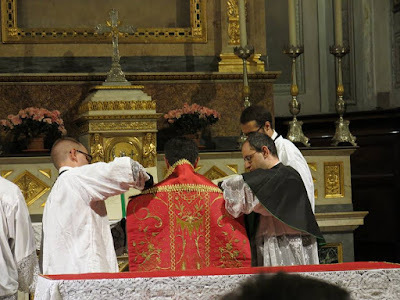 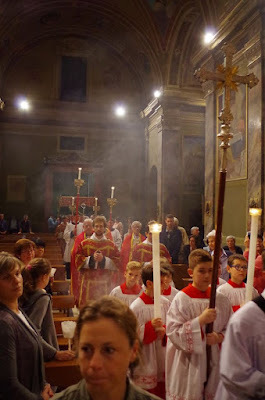 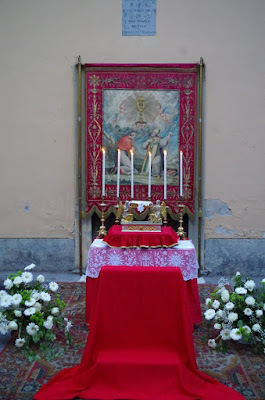 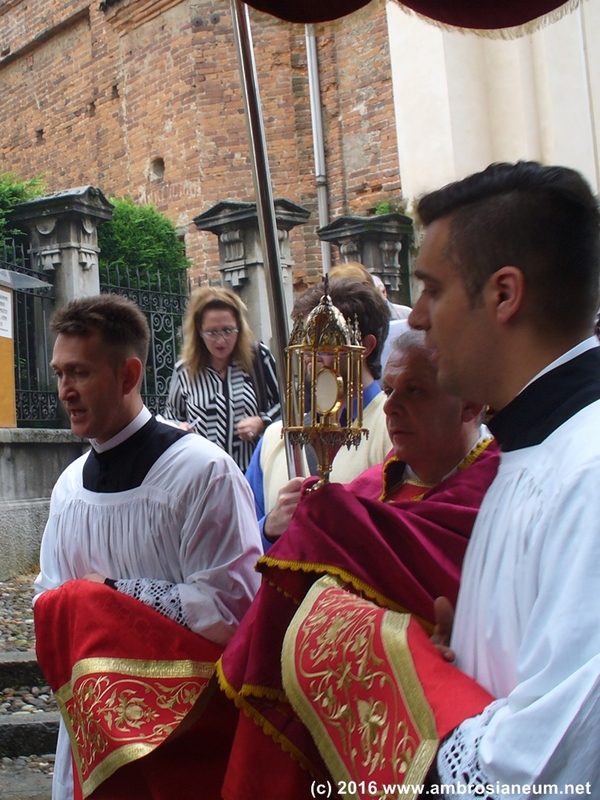 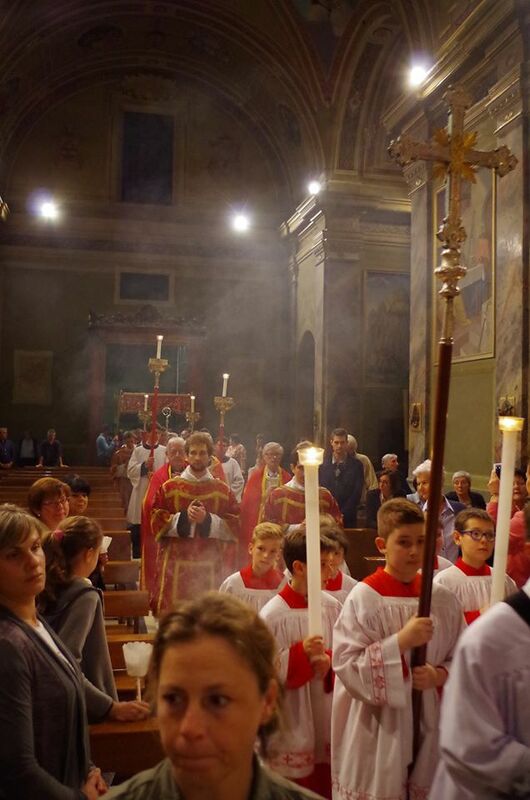 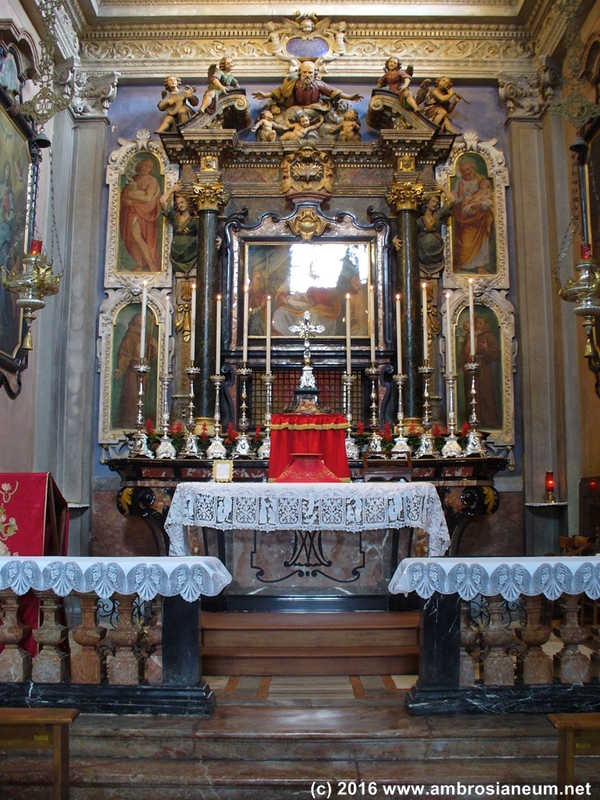 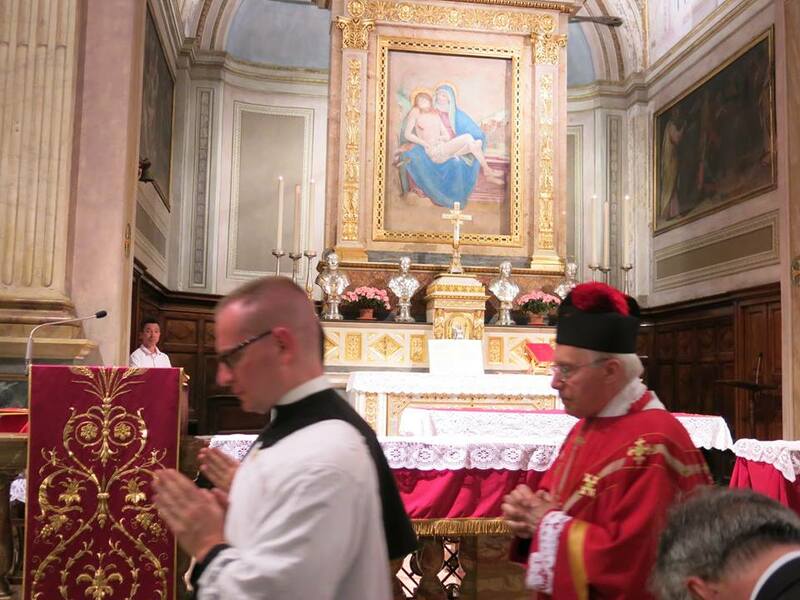 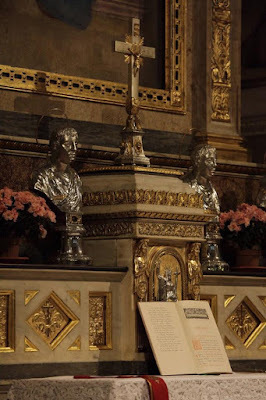 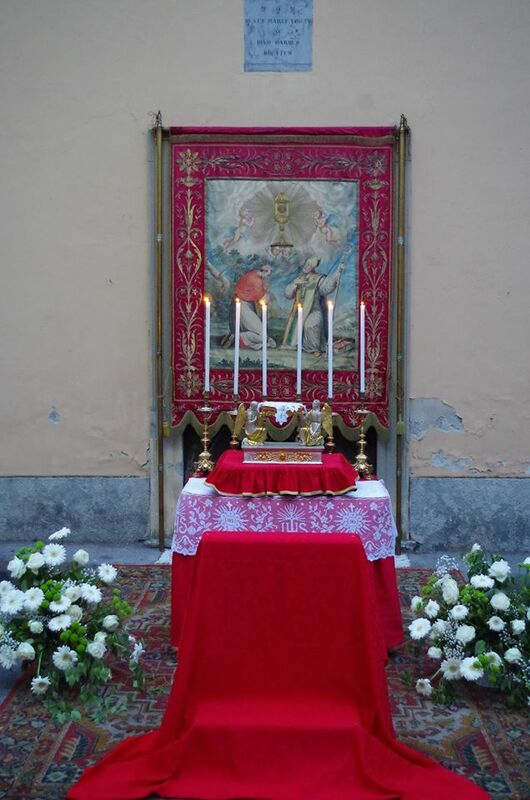 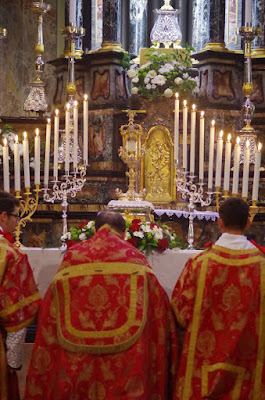 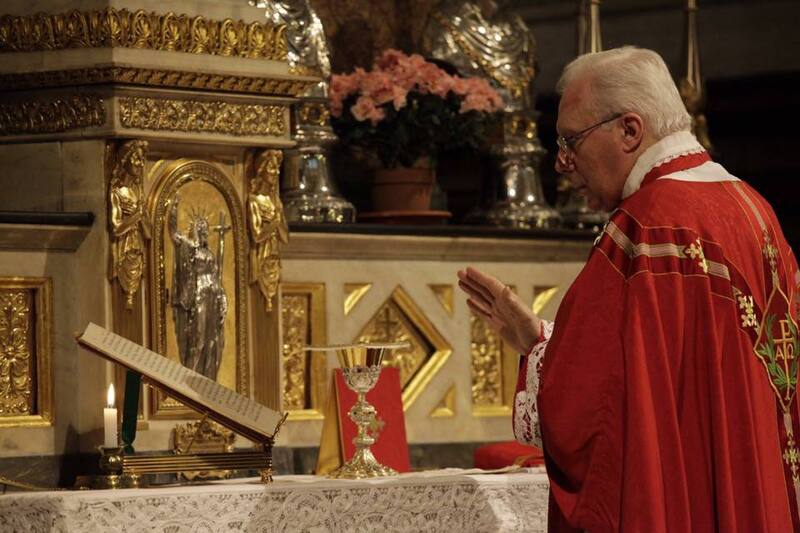 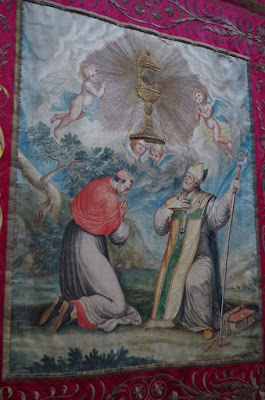 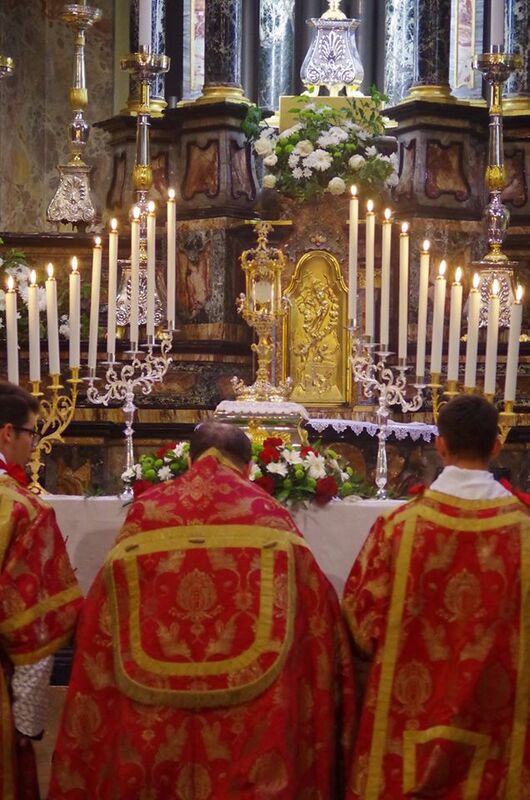 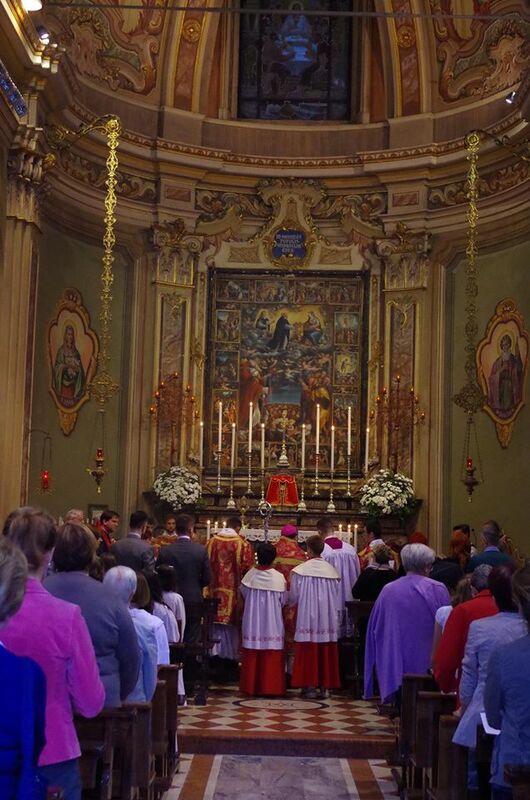 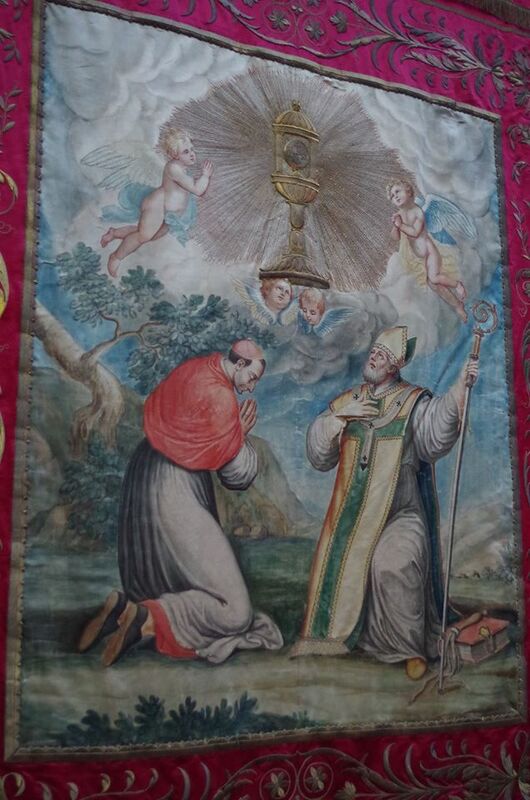 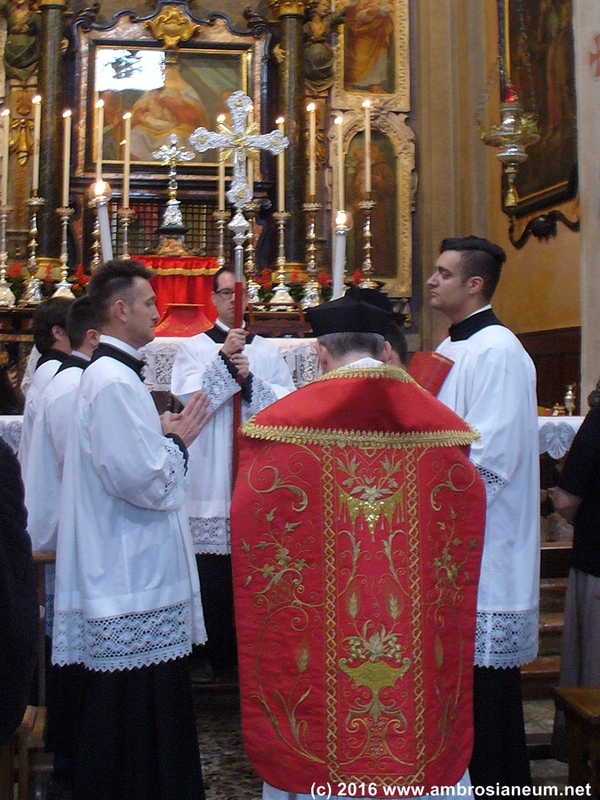 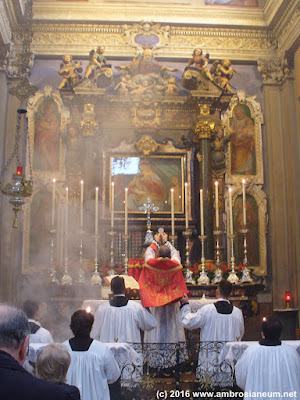 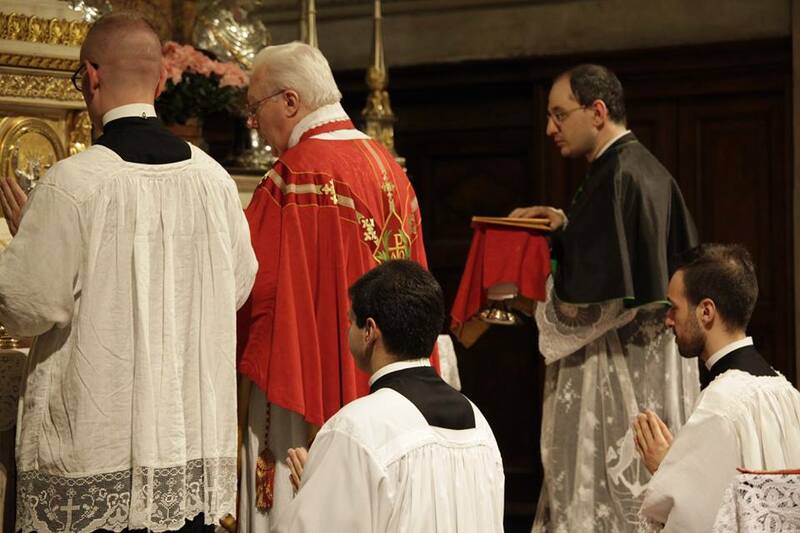 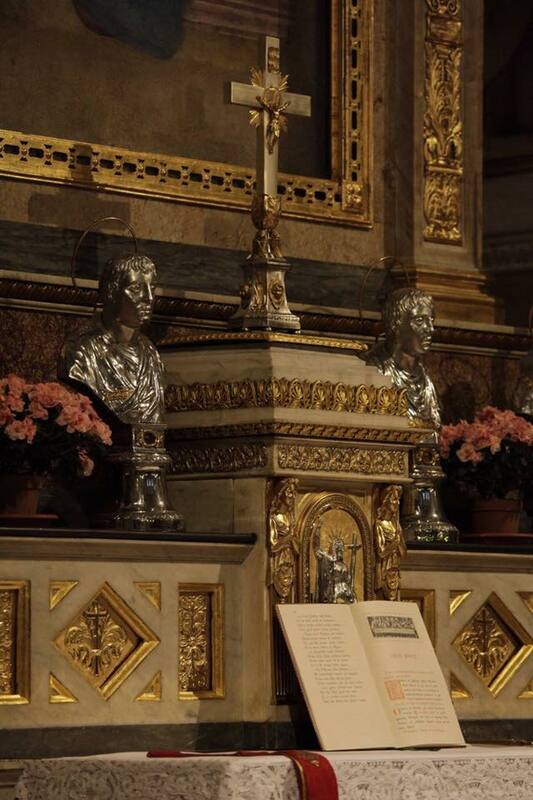 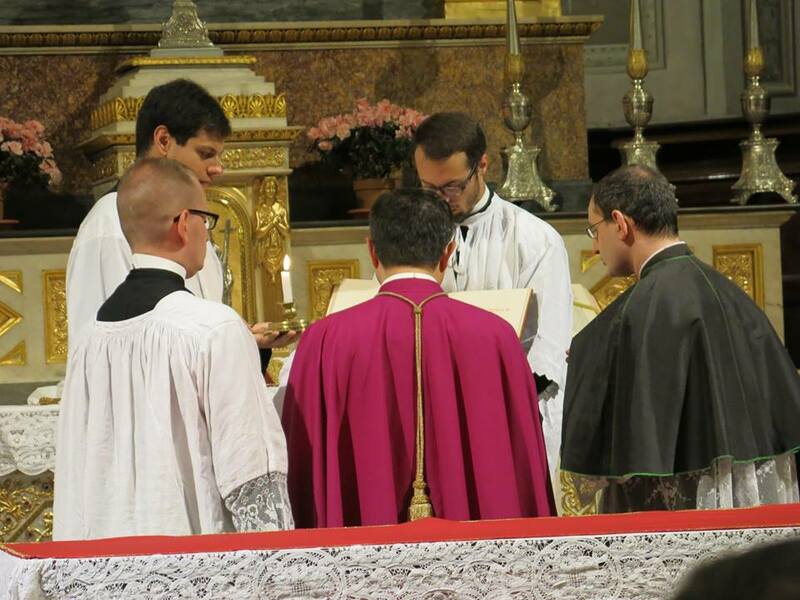 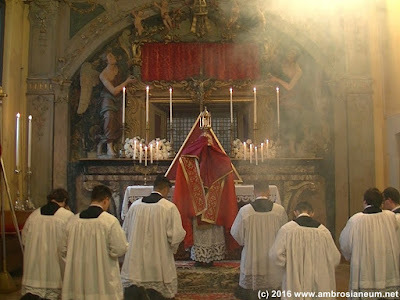 Note that the vestments are red, which in the Ambrosian tradition is the liturgical color used from Pentecost until the third Sunday of October, on which the Cathedral of Milan celebrates its dedication. 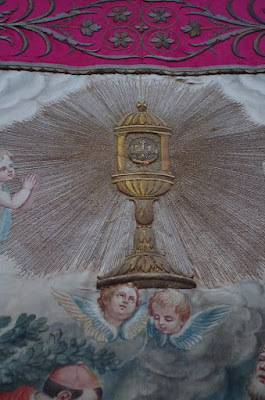 Also note the form of the monstrances, which are smaller than a typical Roman one, and cylindrical; this form was very common in the Middle Ages, as may be seen in innumerable illustrations in medieval liturgical books. 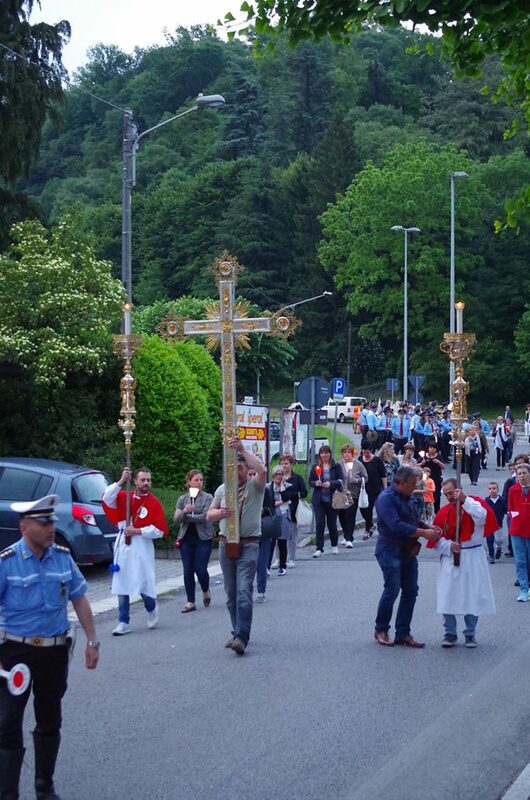 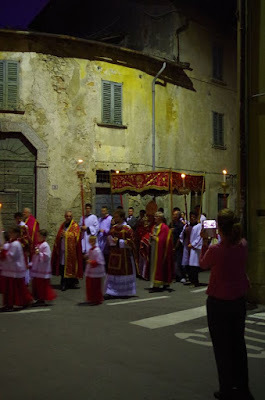 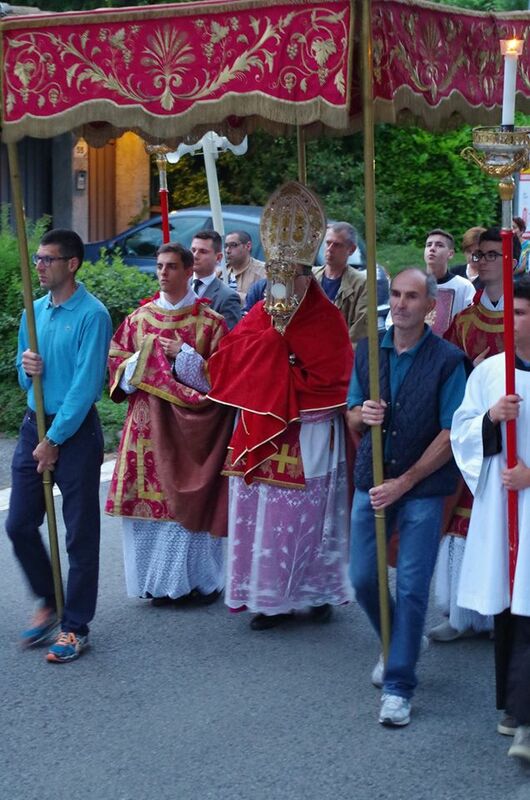 Eucharistic Procession to the Parish of S. Giorgio in Eupilio, celebrated by His Excellency Antonio Filipazzi, Apostolic Nuncio to Indonesia; photos courtesy of Mr Fabio Meroni. 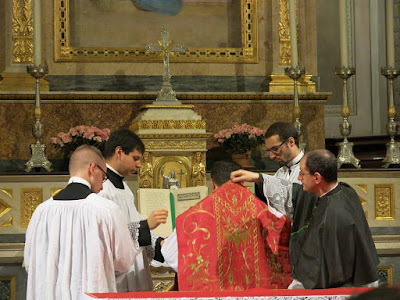 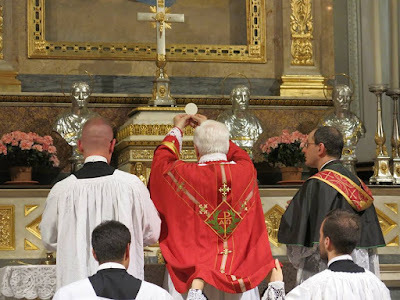 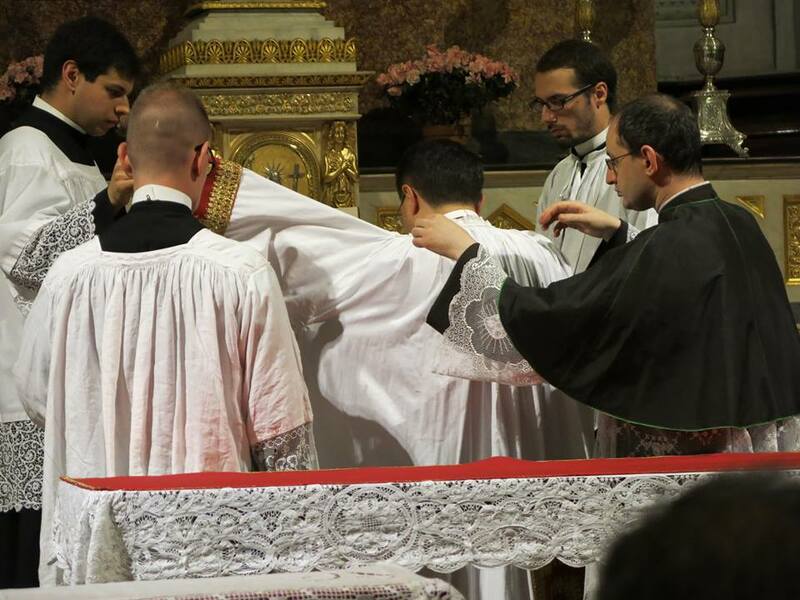 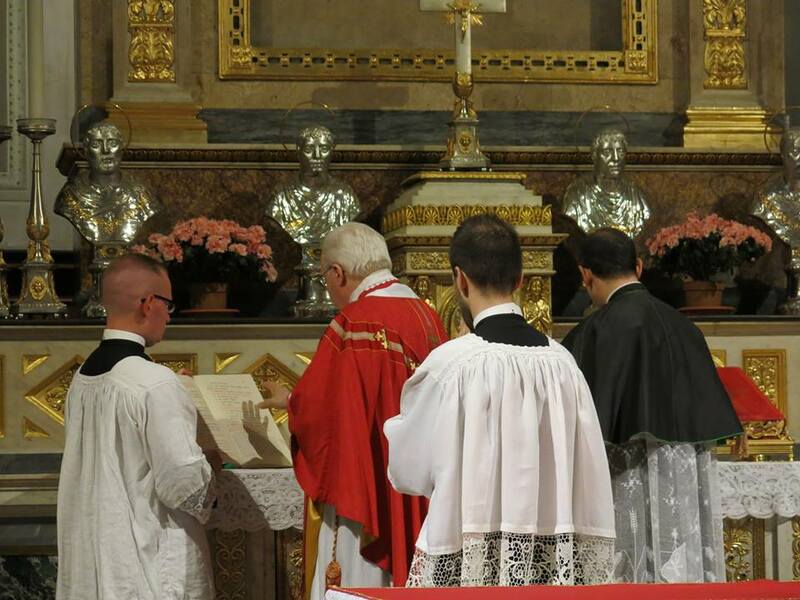 Prelatitial Mass on the Feast of the Sacred Heart - Here we can see in the 2nd photo an appareled amice, still used in the traditional Ambrosian Rite, and in the 4th the cappino, a kind of decorative collar which is attached to the top of a chasuble, dalmatic or tunicle at the back.